Getting attention for your products has never been more challenging or more important. Marketing your brand requires that your packaging stands out from the crowd with vibrancy and quality. No matter what your application, we can make your brand stand apart. Our digital printing equipment provides high color resolution, exceptional fine text clarity, with an unlimited amount of colors to make your product stand out. This process provides the flexibility needed to help our customers develop their brand message. If you have a need for limited runs, one-time promotions, or a series of changing graphics on same structures (seasonal/regional promotions) digital printing can be a great solution – all without the additional cost of investing in printing plates. Our company is one of the very few who can offer it. We excel at laminating litho labels, the high quality packaging graphics that grab consumers’ attention. To fulfill our commitment to being the best provider, we’ve acquired state-of-the-art litho laminating equipment with the ability to handle full or spot labeling. Our focus is precise registration, size versatility, and high-speed production of boxes, displays and inserts. With superb equipment and stringent quality controls in place, our label laminating operators produce a first class package every time. 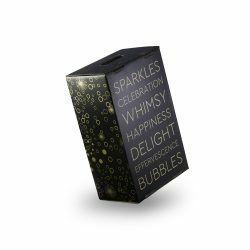 If you want high color graphics printed directly on your corrugated boxes or point-of-purchase displays, Flexo is the way to go. These graphics will enhance a product brand and drive sales at the retail level. Need six colors or a UV coating? We got you covered. This process is ideal for large run volumes done at high speeds, which reduces cost while providing eye-popping graphics.